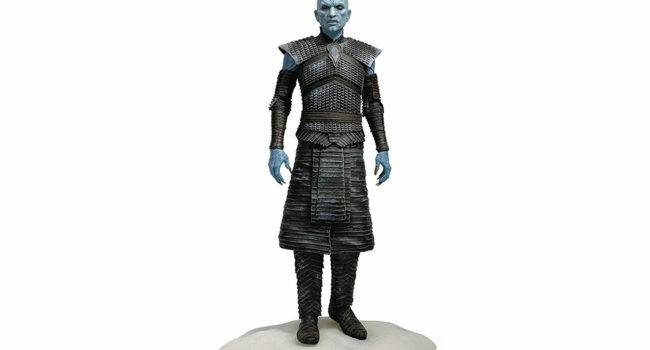 In Game of Thrones, the Night King is the master and the first of the White Walkers, having existed since the age of the First Men. He appears in Bran Stark’s visions and faces off against Jon Snow, who cryptically warns the rest of Westeros that “Winter is coming”. A noble daughter of House Tyrell, Margaery (Natalie Dormer) finds herself married to not one, but three men vying for the Iron Throne over the course of her life before her untimely demise in Season 6 of Game of Thrones. Beautiful, cunning, and kind, Margaery used her brains and her beauty to climb the social hierarchy and settle herself time and time again in the place to become/be the Queen of Westeros. 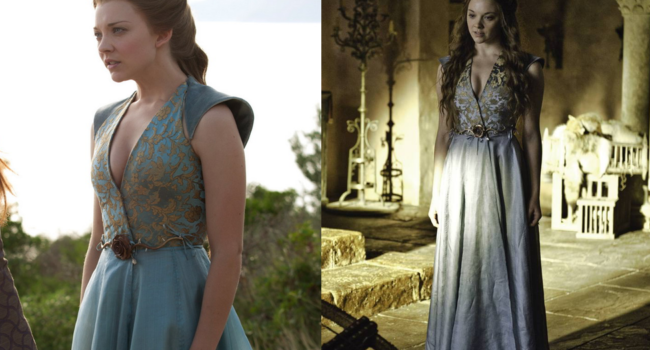 Up until Season 6, she is most often seen wearing shades of blue decorated with rose and vine motifs. As the assumed daughter of King Robert Baratheon (Mark Addy) and Queen Cersei Lannister (Lena Headey), Myrcella Baratheon (Nell Tiger Free) was a princess of Westeros. However, Myrcella and her blonde siblings were truthfully the children of an incestuous union between Cersei and her twin brother, Jaime (Nikolaj Coster-Waldau). She was sent to live in Dorne with the Martells up until her poisoning by a vengeful Ellaria Sand (Indira Varma). In the bombshell-dropping finale of the 7th season of Game of Thrones, Lyanna Stark (Aisling Franciosi) is revealed to not only have been the older sister of Ned Stark, but also the mother of Jon Snow. Her secret love affair with/marriage to Rhaegar Targaryen is what begins about Robert’s Rebellion and the end of the Targaryen dynasty. On her wedding day, she wore a gown of sage green and was wrapped in vines of gold and silver. In Game of Thrones, Khal Drogo (Jason Momoa) is the cheftain of the Dothraki, a savage and nomadic horse-riding people of the eastern continent. A legendary warrior, he desires a beautiful and exotic woman for his wife, and finds her in Daenerys Targaryen. In Game of Thrones, Unella (Hannah Waddingham) is a Septa and devotee to the High Sparrow. After Cersei Lannister confesses her crimes, Unella strips her naked and forces her to walk through the jeering crowds to return to the Red Keep. As if that wasn’t humiliating enough, she follows closely behind while ringing a bell and chanting “shame, shame, shame”, earning the nickname the “Shame Nun”. In Game of Thrones, Shae of Lorath (Sibel Kekilli) is a prostitute who becomes involved with Tyrion Lannister. As with all relationships, theirs has its ups and downs like having to hide from Tyrion’s father who wants to kill her, having to avoid Cersei Lannister who is trying to turn her against Tyrion, and having to compete for Tyrion’s attention after he’s forced to marry.